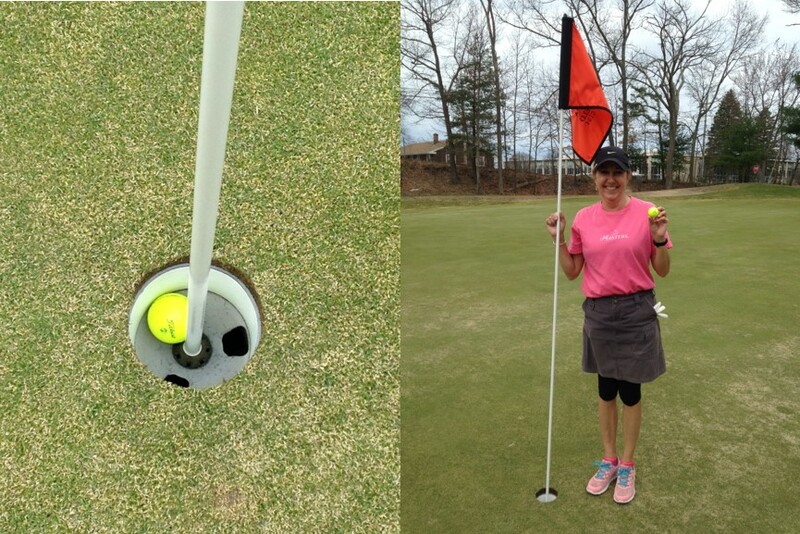 Congrats to Liz Lafferty, an ace on Hole #8! Way to go Liz! Located in the heart of Manchester, New Hampshire; Derryfield Country Club is a municipally owned 18-hole golf course. Derryfield provides challenging yet forgiving holes, that gives an experienced golfer or a beginner golfer an enjoyable round. Our fully stocked golf shop can help you with new equipment and accessories. From TaylorMade to FootJoy, we have everything you need for your game! Need a gift idea? Put any logo you want on your favorite Titleist Ball! If you can't find what you are looking for in the pro-shop ask a pro-shop attendant, we can special order it for you. We specialize in club fittings, too! Join us all season long in, Mike Ryan's Indoor Golf and Learning Center. With our 3 aboutGolf PGA Tour Simulators you can choose from 52 courses. You can play,18 or 9 or even just go to the range! Keep your game strong, all season long!